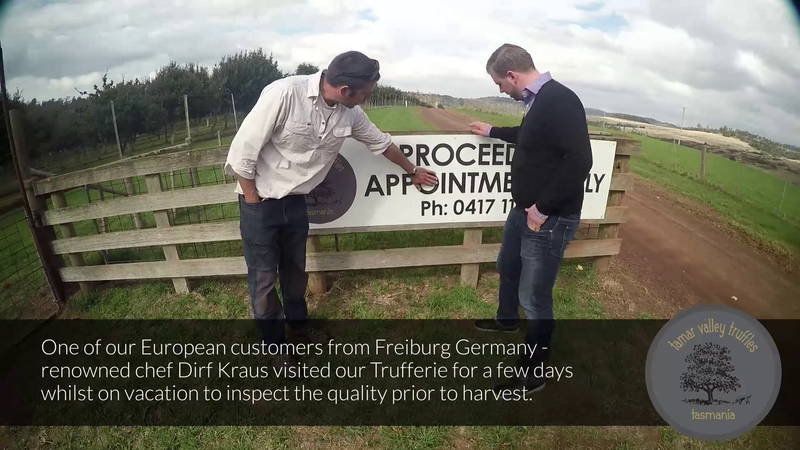 Here’s a great video of our Farm Manager, Marcus Jessup, giving Dirk Kraus (Head Chef of Michelin star restaurant at Columbi Hotel, Frieberg Germany) a personal tour of inspection highlighting the first of the movements of our new season truffles, in the first week of May 2015. Dirk was on holidays in Tasmania, and visited to inspect the quality of our Tamar Valley Truffles, prior to harvest. 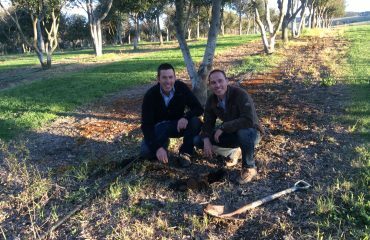 Even after the dogs have initially marked the truffle, it still has to be smelt by use to make absolutely sure the aroma is at its peak. 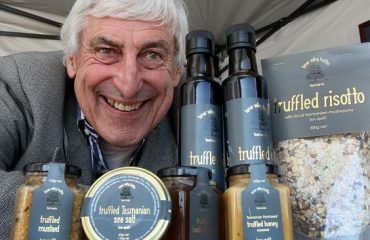 Our truffles aren’t quite ready for harvest yet – we’re just waiting for that fabulous ‘aroma’ to develop!